Lecture: "Civil Wars: Ancient Fears/Contemporary Realities"
Civil war has long been regarded as one of the worst forms of societal conflict. And a consensus has emerged that, since 1945, civil war has become the most prevalent form of warfare. Hence, civil war is a very old form of conflict with a very violent recent history. 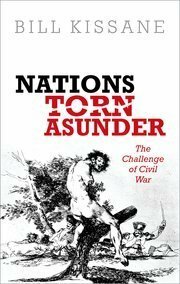 In this talk, Bill Kissane, associate professor of politics at the London School of Economics and Political Science, will discuss the themes of his most recent book, Nations Torn Asunder: The Challenge of Civil War (Oxford University Press, 2016), which places the latest cycles of civil war in historical perspective. Co-sponsor: Kellogg Institute for International Studies.